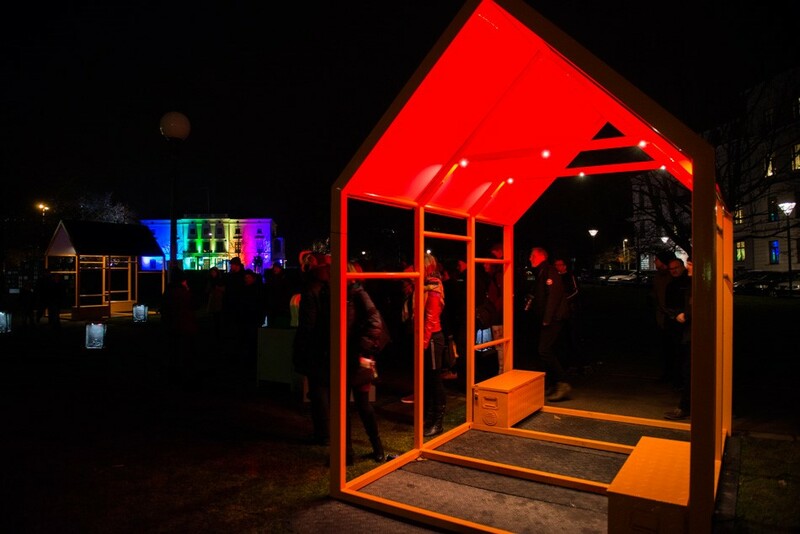 Brighter Brunnshög uses innovative lighting to draw attention to a new smart & sustainable area in Lund. The municipality of Lund has set high goals for the new city district Brunnshög emerging next to the world-renowned research facilities MAX IV and ESS in northeastern Lund. It will be a European model for sustainable urban planning and a regional destination for recreation. 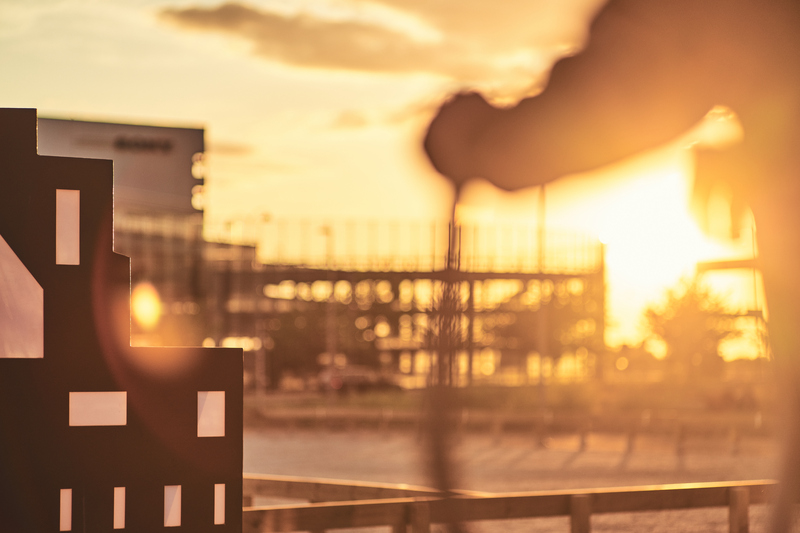 The purpose of Brighter Brunnshög has been to help draw attention to the area as a sustainable and smart neighborhood, and to raise its attractiveness even before settlement is complete – using light installations in Virtual Reality (VR) as well as in real life! The real-life light installations are self-sufficient on electricity and encourage visitors to interaction and physical training. Two different solutions were chosen and implemented, both with the aim of raising awareness of Brunnshög and increasing the area’s attractiveness to visitors. Along a country road crossing what will be a central part of the Brunnshög area in the future, three light installations called “Powerhouses” have been placed at 150 m distances. The Powerhouses are designed like outdoor gym units, consisting of a number of workout bars with integrated LED spotlights and having roofs made partially of solar panels that are connected to batteries. The spotlights are controlled by a light sensor and turn on when the sun goes down. The innovation of the installations is that they are powered by solar cells and batteries, making them completely self-sufficient on electricity. As the Powerhouses do not need any connection to the electricity grid (they are “off-grid”), they are flexible and can be moved to various places – both at Brunnshög and other places. Further, the off-grid solutions have been dimensioned to have the capacity to provide additional light sources with power. Thus, between the Powerhouses, a number of bollards have been placed, lighting up the 150 m distances between the Powerhouses along the country road. Each Powerhouse supplies five or six series-connected bollards with power. In addition, to enhance the gym-feeling and inspire to interaction, exercise machines are located adjacent to the houses. When visitors use the machines, extra lighting (e.g. tree lighting) turns on in the surroundings. The extra lighting is powered by electricity produced by generators connected to the exercise machines and by the batteries in the Powerhouses. Together, the installations encourage the visitors to exercise and generate lighting that affects the looks of the surroundings: A PowerWalk! The light installations have been in place at Brunnshög in full since May 2018. As stated above, the aim of the project has been to enhance the attractiveness of Brunnshög and encourage people to visit the area. During the process of designing the light installations, another thought arose about the challenge. In addition to bringing people to Brunnshög, perhaps the project could bring Brunnshög to them? The answer to this idea became “Brunnshög in VR”. By creating a virtual version of Brunnhög as it looks today, the project expanded the possibilities of visiting the area – at least theoretically – to the whole world. The only thing needed to let people experience the area is a good computer, a set of VR glasses, motion sensors and someone who can run the VR program designed and created within the project. The VR version of Brunnshög looks very much like the real and current Brunnshög, except for one imaginative light installation. The possibilities to create really innovative, intriguing and amazing light art at Brunnshög was created as Brunnshög turned virtual and gives the VR visitors the opportunity to see something very unique. 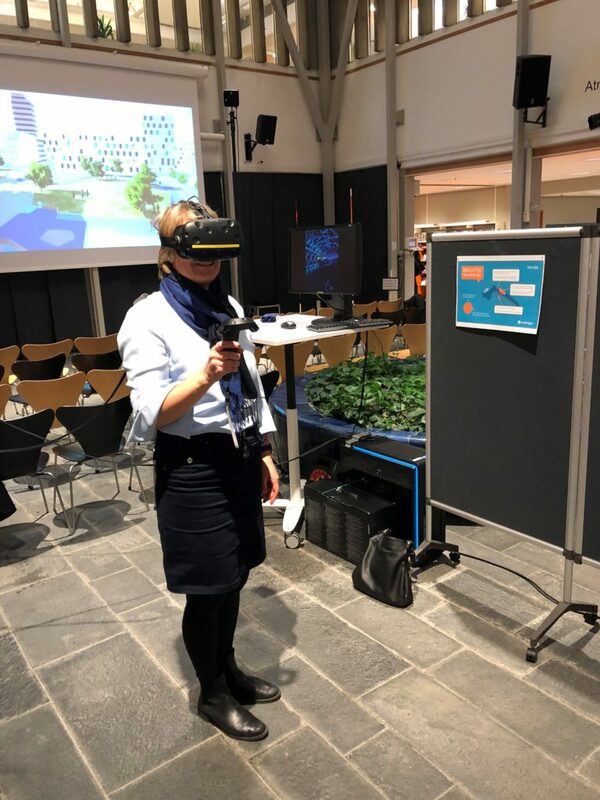 So far, the VR program has been shown to the public at Kulturnatten in Lund 2017, at Lund’s city library 2018 and at Kraftringen in 2017 as well as in 2018. More shows are being planned continuously. The project group has consisted of Kraftringen, the Lund municipality’s landscape architect of the Brunnshög area, a lighting designer from Luxera AB and Aalborg University (AAU) – also a partner in Lighting Metropolis. Two students from AAU contributed to the project by identifying important design features and aspects that needed to be applied in the project. They also created the VR demo of Brunnshög and designed the exceptional light art sculpture available for the users exclusively in the VR environment. Luxera AB and Lund municipality contributed to the project with input to the concept as well as to the design of the real-life light installations. Kraftringen has managed the whole project and been responsible for its implementation. Many other small companies (including a smith and an electrician) have been involved in the project, mainly as suppliers and manufacturers of innovative solutions and installations. Solar panels from Trina Solar and batteries from Q-Batteries power the real-life installations. The installations have been custom-made by a smith, an electrician and a lighting designer. People’s reactions to the VR demo have been evaluated at all four times the demo has been shown so far; to a number of employees at Kraftringen in July 2017 as well as May 2018, to about 30 visitors at Kulturnatten, Night of Culture, in Lund in September 2017 (as a part of a larger VR event in the VR lab at Lund University of Technology) and to about 20 visitors at Lund’s city library in March 2018. At all four events the visitors were asked to answer questionnaires before and after they tried the VR demo. The results were unanimous; the visitors’ feelings towards – and will to visit – the Brunnshög area in real life became more positive after trying the VR demo and seeing/interacting with the VR light artwork. They also felt that their knowledge about and relation to Brunnshög became stronger, and they connected the Brunnshög area to innovation, sustainability and new technology to a greater extent. In other words, the effect of the VR demo has become exactly what the project aimed to achieve. In a project with many people involved, it is crucial to clarify the roles as well as the expectations of the members of the project group as soon as possible. It is also important to involve those who are supposed to execute the installations at a very early stage in order to make the acceptance and implementation processes smooth. If possible and in order to reduce delays, it might be advantageous to use suppliers that are headquartered close to the project demo site. This has been found to be desirable as the physical light installations have needed unforeseen maintenance on several occasions. VR shows to the public are being planned continuously. Information about planned demonstrations can be found at https://www.kraftringen.se/brighterbrunnshog. A city silhouette (2,5×7 meters), whose windows illuminate when visitors use the two adjacent exercise machines, is placed right next to the completed park in the southern part of Brunnshög. The three Powerhouses, along with another pair of exercise machines that – when used – illuminate the surrounding trees, are placed along Utmarksvägen at Brunnshög. All parts of the PowerWalk are free to use for all visitors and do not need any guidance. The concept of Brighter Brunnshög is replicable. The design of the VR demo as well as the Powerhouses can be altered and adapted. 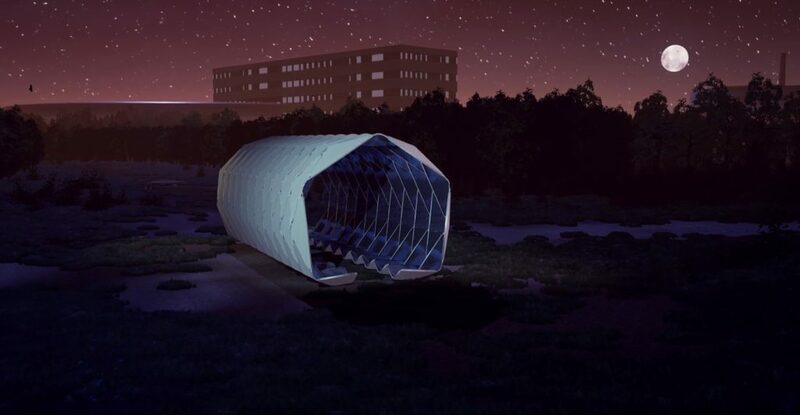 Since the installations are portable and self-sufficient on electricity, they can be useful at exhibitions (like the Lighting Metropolis “12 Days of Light” conference in September 2018) as well as in developing areas or other desolate places that are in need of light.